If you want our street fairing with an extra of head fairing without the headlight space, normally for track day or race purpose only, we can provide it together. 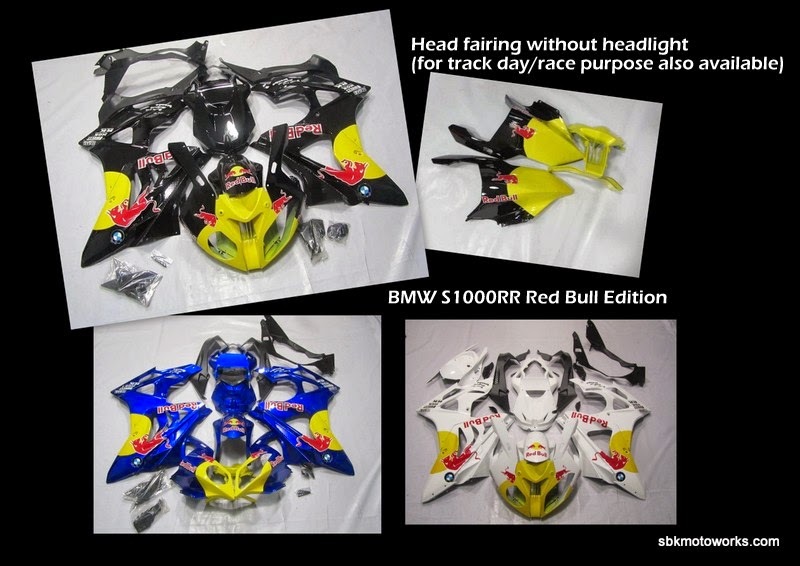 This fairing set is a fairing kit for S1000RR 2012-2014. It comes with the standard/OEM short belly pan, if you want the original HP4 (full covered carbon fiber belly pan), sold separately. Please contact us.